A quick study of cases where Daviess County banks were “subject to withdrawals without proper paperwork” reveals five significant incidents. In chronological order, here’s a summary of the county’s most significant bank robberies according to local historian David Stark of Gallatin. 1869 — Daviess County Savings Association. This is the earliest case of reported robbery known, and perhaps the most famous. 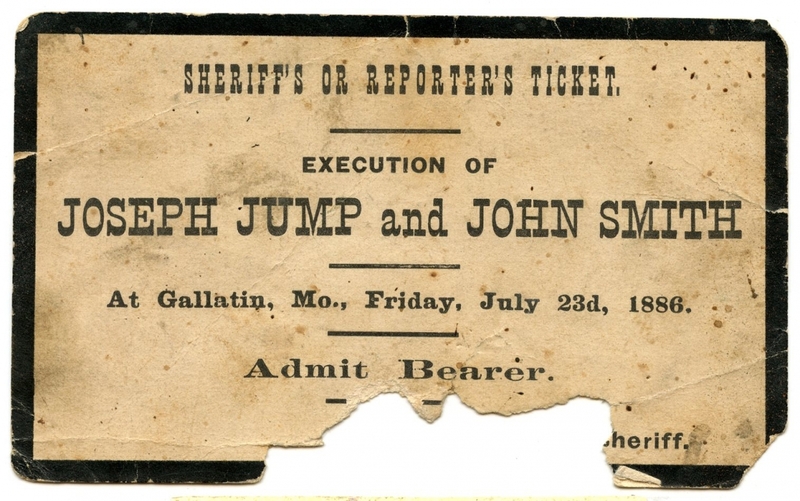 on Dec. 7, 1869, two men entered the Daviess County Savings Association in Gallatin and shot Capt. John Sheets. 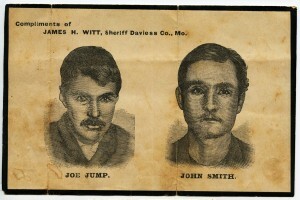 The men were unmasked and seen by a young man named McDowell, who was held at gunpoint.The State Historical Society of Missouri reported that one of the men took several hundred dollars from the till and safe. 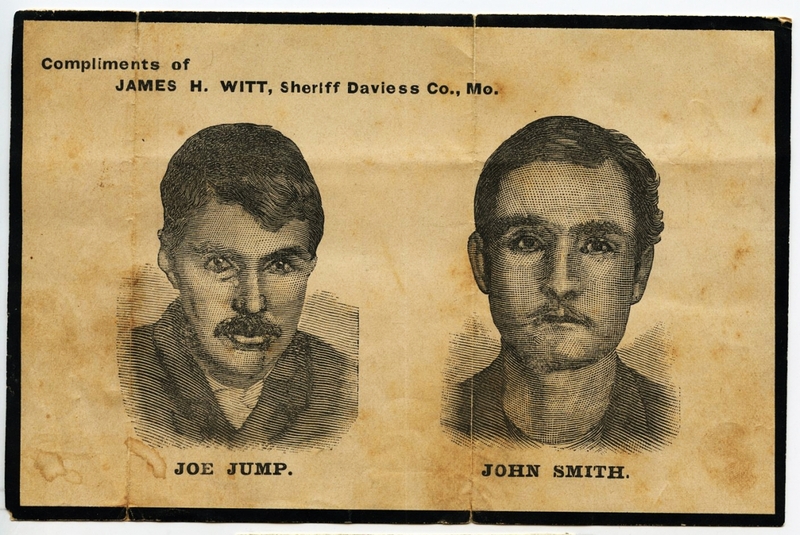 However, Daviess County records show that there was no charge made of bank robbery or even attempted robbery in the case.Frank and Jesse James were indicted by county grand jury in 1870 with the murder of Sheets. A reward of $3,000 was offered for their arrest. 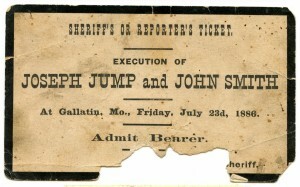 The brothers were also charged with taking Daniel Smoot’s horse in Gallatin on that day. That loss in horseflesh was estimated at $100, but Mr. Smot claimed the horse left in town to cover his loss. Major S.P. 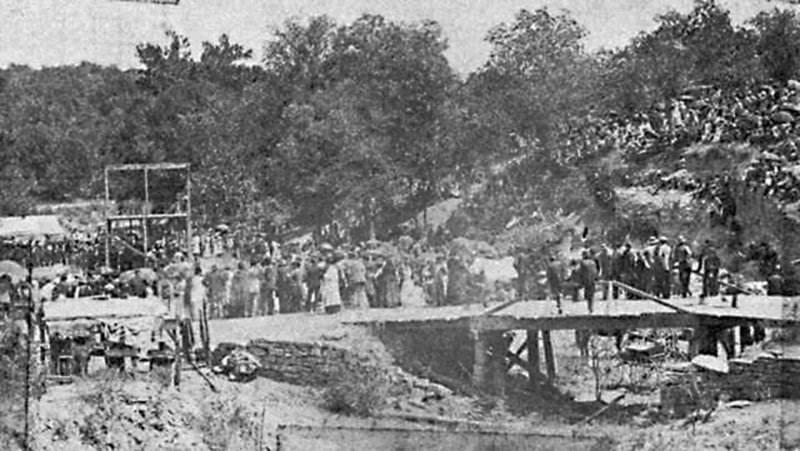 Cox led the posse out of Gallatin in pursuit of the two men. Cox reported that the men escaped in a dense fog in the direction of Kidder. 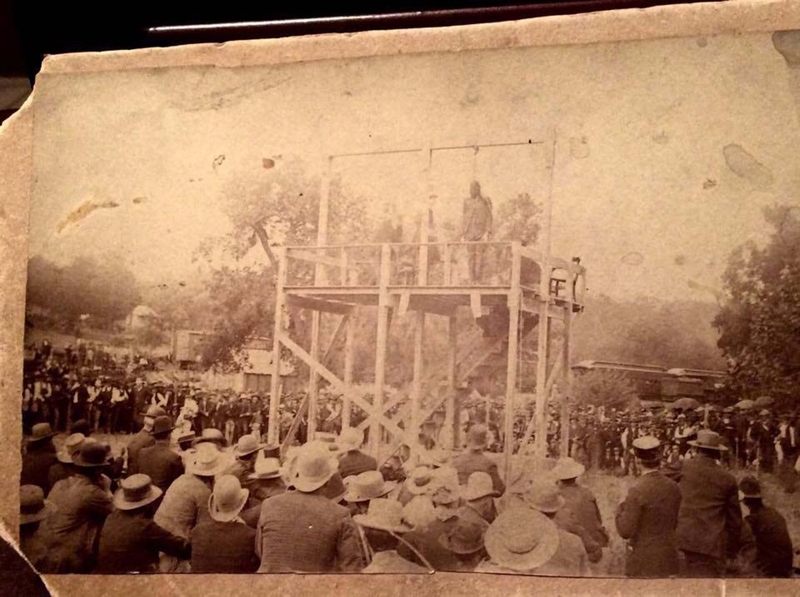 He also said that he believed the two men to have been Jesse James and Jim Anderson.Cole Younger was in Gallatin with Jim Cummins many years later and claimed the name of the man with Jesse that day was Beals, and that it was Beals who lost his horse. No one was brought to trial over the offenses. 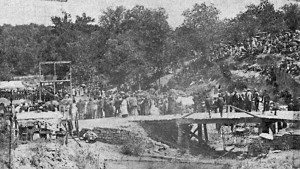 1896 — Lock Springs Bank. On Dec. 11, 1896, someone made an attempt to blow open the safe in the Lock Springs Bank. There are not enough details to tell whether that was an attempted burglary or robbery. 1922 — First National Bank of Gallatin. In November, 1922, six armed men robbed the First National Bank of Gallatin then located on the south side of the square. They used a large quantity of nitroglycerin which badly damaged the vault, steel safe, front of the bank building, and much of the interior fixtures.Several shots were fired during the hour the bandits were in town. Nightwatchman John Chamberlin, Mayor J.H. 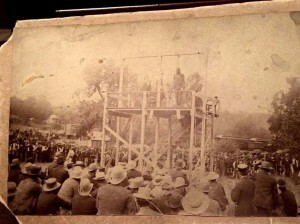 Tate, and hotelman Frank Woodruff were each slightly wounded in the proceedings. Most of the telephone and telegraph lines were cut. All of the gang escaped and were never identified. 1929 — Pattonsburg Savings Bank. On Dec. 18, 1929, a 3:30 p.m. two young men robbed the Savings Bank at Pattonsburg of about $8,000 in cash. They were pursued by many armed men and were captured by C.K. Connell and Gordon Sweany after ditching their car. A few shots were exchagned, but no one was hit. The money was recovered. 1931 — The Bank of Coffey. On a Thursday in January, 1931, the Bank of Coffey was held up and robbed. The two young male bandits entered the bank at about 1:30 p.m. and took over $800 in cash. Cashiers W.T. Siple and J.G. O’Hare were in the bank and W.A. Patridge entered the bank while the holdup was in progress. The robbers took money from the cashier drawers and some silver from the fault. The money in the big safe in the front window was apparently overlooked. The robbers put the three citizens in the vault, but failed to lock the door. The thieves evidently escaped to the north in a Ford sedan. Previous Previous post: What’s the Mormon War?